Dynamic Core, Edelman, G.M. & Tononi, G.
Generative Model, Kawato, M., Mumford, D.
Virtual Reality Metaphor of Consciousness, Revonsuo, A.
Baars, B.J. and J. Newman, A Neurobiological Interpretation of Global Workspace Theory. Consciousness in Philosophy and Cognitive Neuroscience, 1994: p. 211-226. Tononi, G. and G.M. Edelman, Neuroscience - Consciousness and complexity. Science, 1998. 282(5395): p. 1846-1851. Kawato, M., H. Hayakawa, and T. Inui, A Forward-Inverse Optics Model of Reciprocal Connections between Visual Cortical Areas. Network-Computation in Neural Systems, 1993. 4(4): p. 415-422. 渡辺正峰,「意識」. 村上郁也(編). イラストレクチャー 認知神経科学 −心理学と脳科学が解くこころの仕組み−. オーム社. 2010. pp.197-214. Questions: Examples of non-conscious behaviors, neuronal processes? What are the functions of consciousness? Uka T, DeAngelis GC (2003) Contribution of middle temporal area to coarse depth discrimination: comparison of neuronal and psychophysical sensitivity. J Neurosci 23: 3515-3530. Britten KH, Shadlen MN, Newsome WT, Movshon JA (1992) The analysis of visual motion: a comparison of neuronal and psychophysical performance. J Neurosci 12: 4745-4765. Shadlen MN, Britten KH, Newsome WT, Movshon JA (1996) A computational analysis of the relationship between neuronal and behavioral responses to visual motion. J Neurosci 16: 1486-1510. Bahrami, B., Olsen, K., Latham, P.E., Roepstorff, A. Rees, G & Frith, C.D. (2010). Optimally interacting minds. Science, 329, 1081‐1085. Balduzzi, D. & Tononi, G. (2009). Qualia: the geometry of integrated information. PLoS Comp. Biol. 5: e1000462, 1‐24. Balduzzi, D. & Tononi, G. (2008). Integrated information in discrete dynamical systems: motivation and theoretical framework. . PLoS Comp. Biol. 4: e1000091. Byrne, R.W. (1996). Machiavellian intelligence. Evol. Anthrop. 5, 172‐180. Carruthers, P. (2009). How we know our own minds: the relationship between mindreading and metacognition. 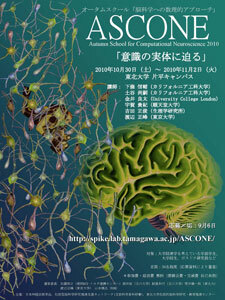 Behavioural and Brain Science 32, 121‐138. Clark, R.E. & Squire, L.R. (1998). Classical conditioning and brain systems: the role of awareness. Science, 280, 77‐81. Clark, R.E., Manns, J.R., & Squire, L.R. Classical conditioning, awareness, and brain systems. Trends Cogn. Sci. 6, 524‐531. Dunbar, R.I.M. (1993). Coevolution of neocortical size, group size and language in humans. Behav. Brain Sci. 16, 681‐735. Fleming, S.M., Weil. R.S., Nagy, Z., Dolan, R.J. & Rees, G. (2010). Relating introspective accuracy to individual differences in brain structure. Science, 329, 1541‐1543. Hampton, R.R. (2001). Rhesus monkeys know when they remember. Proc. Natl. Acad. Sci. U.S.A. 98, 5359‐5362. Hampton, R.R. (2009). Multiple demonstrations of metacognition in nonhumans: converging evidence or multiple mechanisms? Comp. Cogn. Behav. Rev. 4, 17‐28. Kanai, R., Walsh, V. & Tseng, C.H. (2010). Subjective discriminability of invisibility: a framework for distinguishing perceptual and attentional failures of awareness. Conscious. Cogn. Koch, C. (2004). The Quest for Consciousness: A Neurobiological Approach. Englewood, CO: Roberts & Company. Kruger, J. & Dunning, D. (1999). Unskilled and unaware of it: how difficulties in recognizing one�s own incompetence lead to inflated self‐assessments. J. Pers. Soc. Psycho. 77, 1121‐1134. Lau, H.C. & Passingham, R.E. (2006). Relative blindsight in normal observers and the neural correlate of visual consciousness. Proc. Natl. Acad. Sci. U.S.A. 103, 18763‐18768. Lau, H.C. (2008). A higher order Bayesian decision theory of consciousness. Prog Brain Res. 168, 35‐48. Overgaard, M., Timmermans, b., Sandberg, K. & Cleeremans, A. (2010). Optimizing subjective measures of consciousness. Conscious. Cogn. 19, 426‐431. Persaud, N., McLeod, P. & Cowey, A. (2007). Post‐decision wagering objectively measures awareness. Nat Neurosci. 10, 257‐261. Persaud, N., McLeod, P. & Cowey, A. (2008). Commentary to Note by Seth: experiments show what post‐decision wagering measures. Conscious. Cogn. 17, 984‐985. Seth, A.K. (2008). Post‐decision wagering measures metacognitive content, not sensory consciousness. Consious. Cogn. 17, 981‐983. Smith, J.D. (2009). The study of animal metacognition. Trends Cogn Sci. 13, 389‐395. Smith, J.D., Shields, W.E. & Washburn, D.A. (2003). The comparative psychology of uncertainty monitoring and metacognition. Behav. Brain Sci. 26, 317‐373. van Swinderen, B. (2005). The remote roots of consciousness in fruit‐fly selective attention? BioEssays 27, 321‐330. Tononi, G. (2004). An information integration theory of consciousness. BMC Neuroscience, 5, 42.